05/09/2012 – My First Published Work! 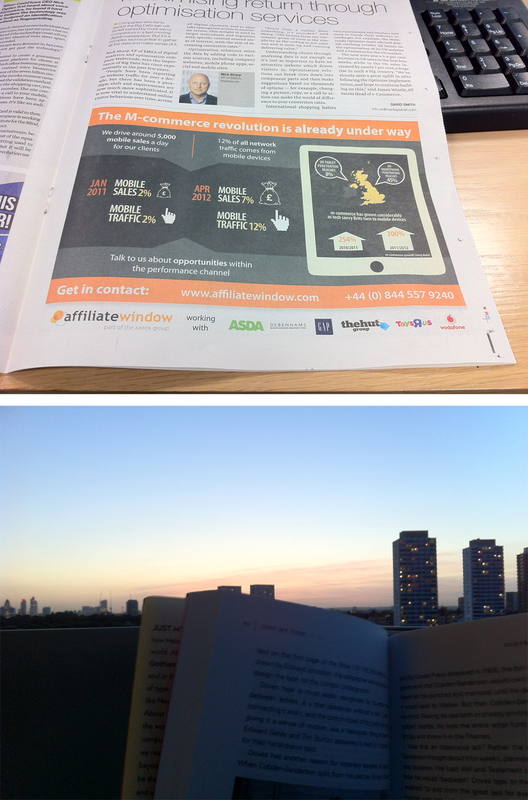 Today I received the news that the ad I designed last week was in today’s issue of the Guardian! I nerdily ran out at lunch to buy a copy, and here’s the advert! I’m really happy, it was a 2 day turnaround and it’s come out well (I think). Yay! I then had a lovely evening sat on the balcony reading my book (Just My Type, well recommended) and watched the sunset, happy Steph is happy. 06/09/2012 – Living the high life!